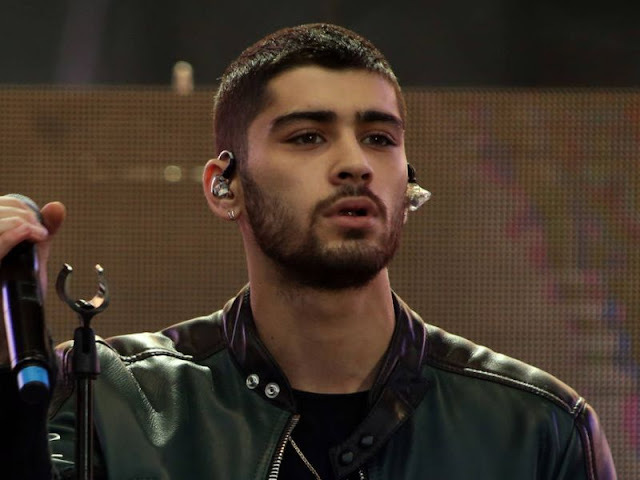 Mystery surrounds Zayn Malik's scheduled performance on the season finale of America's The Voice after the former One Direction star reportedly failed to show up for a rehearsal on Monday (23May16). The Pillowtalk singer was also billed to pre-record a duet with country star Jennifer Nettles, and fans showed up in droves to see their pop idol - but he wasn't there. Reports suggest Zayn pulled out of an appearance on Tuesday's (24May16) finale at the last minute, but his name is still on the schedule for the season ending spectacular. TV bosses had to scramble over the weekend (21-22May16) after Whitney Houston's family pulled the plug on a planned hologram appearance by the dead star. The Voice judge Christina Aguilera taped a duet with the eerie moving image of Whitney last week (ends20May16), but the late diva's sister-in-law and former manager Pat Houston revealed the family wasn't happy with the quality of the hologram and scrapped the plans. Ariana Grande has stepped in to replace Whitney and will appear alongside Christina when the finale airs on Tuesday. It is not clear who will perform with Nettles following Malik's alleged no-show. This isn't the first time the 23-year-old has let fans down at the last moment - he cancelled an appearance on Britain's The Graham Norton Show in January (16). "Zayn is currently in the studio completing his album," his representative explained at the time. Just days later, Zayn also pulled out of a BBC radio interview just 45 minutes before he was due on air.